Hey Guys, My Speargun Reels are made by the exact same factory as the expensive brands. Same Factory Ð Same Quality Ð No Dive Shop Markup! These High Performance, professional grade series speargun reels are specifically designed and built for the most demanding spearfishermen. Our Pro Series speargun reels have a TOTALLY UP-ARMORED DRAG SYSTEM which is far superior to any stock reel on the market. Also includes a STAINLESS STEEL DOVETAIL MOUNTING BRACKET which makes this the strongest mounting bracket available. Rapid on/off design means you can put it on and take it off whenever you want. Quickly and EasilyÉno tools required. Mounts directly to RA spearguns (no tools or modifications needed). 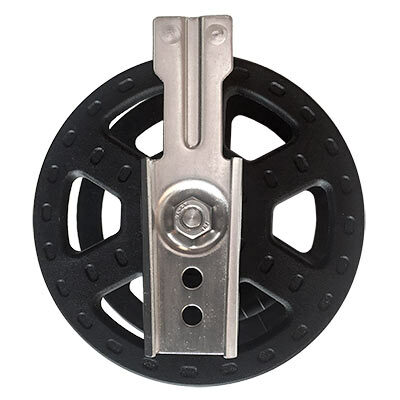 Includes mounting plate to easily mount this amazing reel to any wood speargun, carbon or aluminum speargun. We sell direct to divers - No middle man and No dive shop mark up, so we can offer these high quality reels for a lot less. Rapid deployment on and off for switching to floatline and back to reel. 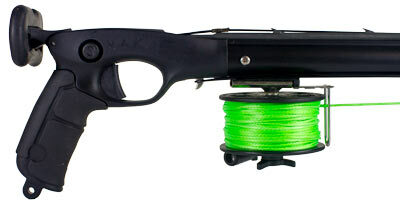 Add our High Vis Reel Line and we'll load it on your reel at no charge! Came with everything needed for installation and Mako has a great installation guide for the Predator Pro. Only have hunted with it once but it worked well with my first take with it. 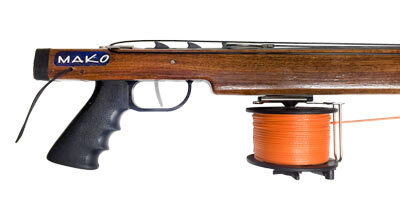 Ordered my gun with the reel. Love the line and the setup. I like that the reel has a flip up crank so when your not using it it can be out of the way. Great product! Used this reel for a grouper trip. Did very well. Using on my Riffe Competitor 100cm.